A female bottlenose dolphin died Tuesday at Dolphinaris Arizona , according to facility staffers. 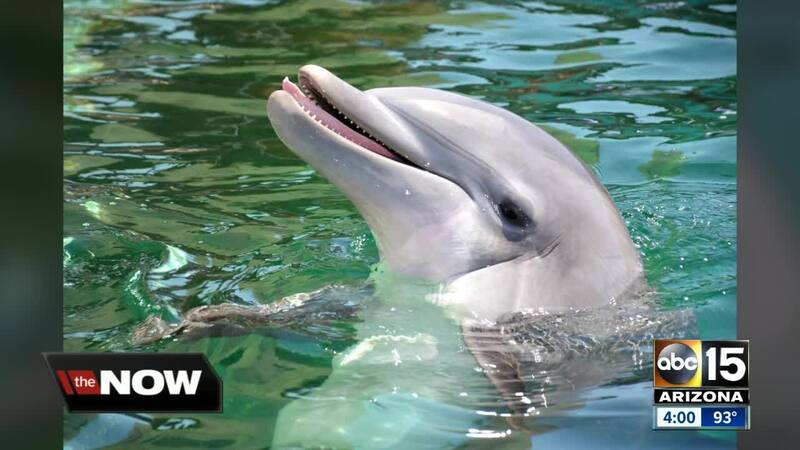 Alia, a 10-year-old bottlenose dolphin, "had displayed some unusual behaviors in the last few days" and "was being monitored," Jen Smith, a spokesperson for the attraction said in a written statement. She is the second dolphin to die at the facility in less than a year. In September, Bodie , a male bottlenose dolphin, died at the facility from a "rare muscle disease," the facility said at the time. An exact cause for Alia's death was not immediately known, Smith said. The facility will conduct a necropsy, an autopsy for animals, to try and determine her cause of death. She said Alia was with her caretakers and the other dolphins when she died. "Alia will be greatly missed. She was a lively and loving part of the Dolphinaris family," a statement said. Dolpinaris Arizona opened in October 2016 at the Odysea in the Desert complex near Loop 101 and Via de Ventura. It is part of the Salt River Pima-Maricopa Indian Community.